This is a digital copy of the Holy Quran which the users can use to explore and read the Holy Scriptures while concomitantly listening to the recitations. Utmost care has been pursued to ensure accuracy, authenticity and precision in the Quranic text. This portable copy of the Holy Scriptures can be used by anyone on­the­go and it has a lot of interesting features to render your experience spiritually much more rewarding. 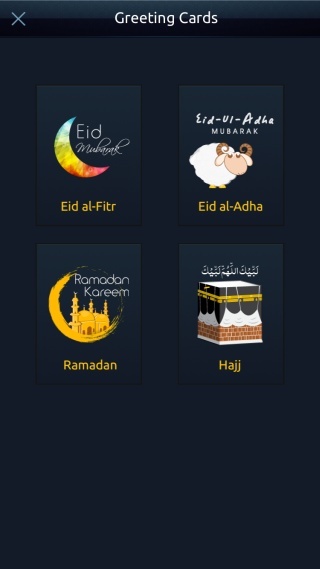 The users can navigate to the Surah, Ayah or Juz of their own choice using these options. This feature assists the users in retrieving the last read position for future reference purposes. Muslim Mate shares with you a daily verse from the Noble Quran for your spiritual growth, upbringing and encouragement. 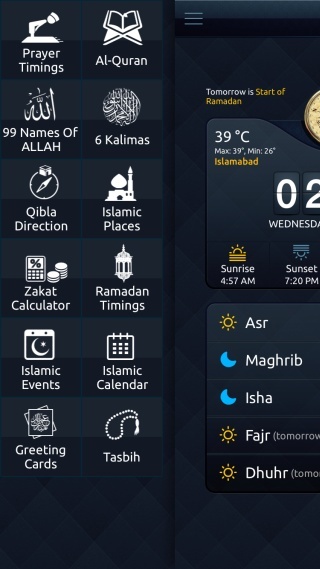 The Al Quran feature in Muslim Mate comes with an extensive built­in search engine. Once a specific word is entered in the search box, the users can get a list of all the verses containing it along with the Surahs they belong to. Similarly, the app allows the users to enter Arabic text using the Arabic keyboard available in iOS.